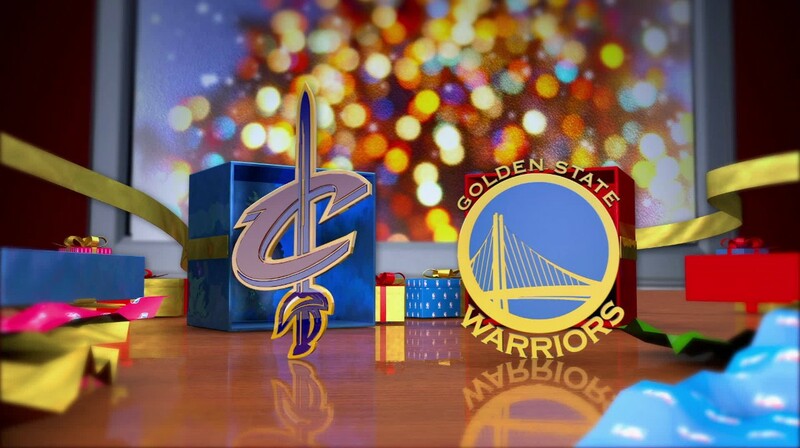 The Cavs travelled to Oakland for the day basketball fans have been waiting for all season; the Christmas Day matchup with the Golden State Warriors. It was a defensive struggle all game, as the Cavs were able to hold Steph Curry to just 19 points, but still fell 89-83. It was the first time the two teams met since Game Six of the 2015 NBA Finals, June 16th, when the Warriors won the championship and celebrated on Cleveland’s court. Both teams started out hot, offensively, as there were seven lead changes in the first seven minutes, but Golden State was able to go on a 15-3 run in the middle of the first quarter, as Cleveland began to throw up jump shots and try to keep up with the Warriors’ fast-pace, but came up empty possession after possession. The Warriors led at the end of one quarter 28-19, as Draymond Green scored ten points in the first quarter and Curry contributed eight. Curry was taken to the locker room early in the second quarter with what appeared to be a calf injury, and it was no coincidence that the Cavs went on a 9-0 run early in the quarter to tie the game at 31. He had already been bothered by that calf injury Wednesday night against Utah. Curry would return to the court with five and a half minutes left in the second quarter. It was a back and forth battle the rest of the second quarter, as the Cavs led by as many as three, but trailed 45-42 at halftime. It was Golden State’s lowest-scoring first half of the season, as the Warriors average 58.5 points per game in the first half this season. The Cavs shot a dismal 30 percent from the field in the first half, and were just 2-for-17 from three-point range, but benefitted from some great free throw shooting, as Cleveland went 12-for-14 from the charity stripe. LeBron James led the Cavs with 11 points at halftime. The Cavs’ defense kept them in the game, as they only scored 17 points in the third quarter, but hung with Golden State, heading into the fourth trailing 64-59, which was by far the worst offensive performance of the season for the Warriors thus far in the 2015 season. The Warriors extended their lead in the fourth quarter to as many as ten, before LeBron got the Cavs going with just under four minutes to play. LeBron slammed home a dunk, blocked Klay Thompson on the other end, and threw down another dunk to put the Cavs within four. LeBron had a chance with two minutes remaining to make it a two-point game, but missed both free throws. Curry responded by driving to the hoop for an easy basket to put the Warriors up by six. J.R. Smith canned a clutch three-pointer, but Curry came right back down and made it a five-point game with 57 seconds to play. The Cavs employed a strategy of fouling Andre Iguodala when they were down by four with 20 seconds to go, after James split a pair of free throws. The strategy seemed to pay off, as Iguodala missed both free throws. LeBron air-balled a good look from beyond the arc, and the Warriors would close out the game, winning 89-83. The Warriors remain unbeaten at home and ended the Cavs’ six-game winning-streak, as Cleveland travels to Portland to play Saturday night. It wouldn’t be a surprise if LeBron and Kyrie Irving get rest on the second night of a back-to-back, after an exhausting game. Michigan State alum, Green was a thorn in the side of the Cavaliers all day. Green put up 22 points, 15 rebounds, and seven assists. Backup point guard Shaun Livingston had one of his best games of the season, contributing 16 points off the bench, as his size advantage over Irving was evident whenever he was on the court. Livingston went eight-for-nine from the field. Matthew Dellavedova did an admirable job guarding Curry, who had one of his poorest performances of the season. Curry was held to just 19 points, well below his season average, and shot 6-for-15 from the field. Delly was lauded for his defense in the NBA Finals against Curry, and may be starting to build a reputation as one of the few guys in the league who can contain the MVP. The Cavs were awful offensively. All game. They shot a season-low 31 percent, hitting just 30 of 95 field goals. The Wine and Gold went 5-for-30 from beyond the arc. LeBron made some clutch buckets throughout the game, scoring 25 points to go with nine rebounds, but in the closing minutes of the game, he went just one-for-four from the free throw line. He also missed a three-pointer with under two minutes to go that would have made it a one-point game. Warriors’ interim-head coach Luke Walton chose not to double-team LeBron most of the night, in order to contain the other supporting cast players on the Cavs. The strategy worked. Kevin Love had a great night rebounding, with 18 boards, but was held to just 10 points. Aside from LeBron’s 25, no one on the Cavs had a big night offensively. Smith scored 14. Irving scored 13 on 4-of-15 shooting. Dellavedova and Tristan Thompson scored 10. The Warriors decided to not let “the other guys” beat them, and it paid off.